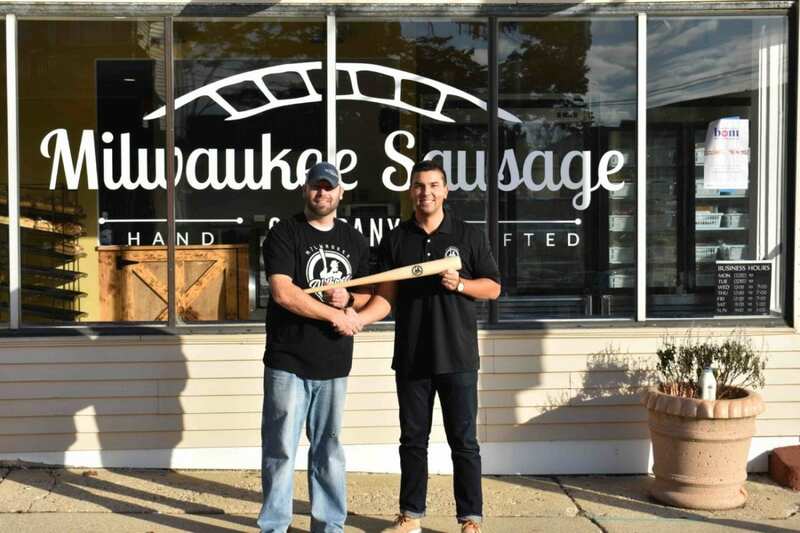 Local businesses Zuern Building Products, Milwaukee Sausage Company and WaterStone Bank have partnered up with new minor league baseball club Milwaukee Milkmen as sponsors of its ballpark, Routine Field, which is being constructed at The Rock Sports Complex in Franklin. The 4,000-seat stadium, which will also be home for the University of Wisconsin-Milwaukee baseball team, anchors the Ballpark Commons, a $125 million mixed-used development that also includes apartments, restaurants and retail. Project developer ROC Ventures last year closed on a 10-year, seven-figure deal with Franklin-based apparel company Routine Baseball for the stadium’s naming rights. In addition, Zuern Building Products will sponsor the Zuern Deck, an outdoor patio area located in the stadium’s premier beer garden and concession area, called Hop Yard. The deck will be available for private and corporate gatherings. Milwaukee Sausage Co. will be the title sponsor of The Milkmen Combo Section, seating in the right field terrace and bleachers. Fans sitting in this section will receive The Milkmen Combo, which includes a Milwaukee Sausage Co. hot dog and a craft beer or Coca Cola product. Other Milwaukee Sausage Co. products will be sold at concession stands throughout the ballpark. Routine Field’s lawn seating will be known as the WaterStone Bank Pastures, which is a nod to the team’s name and Wisconsin’s dairy history. As part of the partnership, WaterStone Bank will make a donation to Milwaukee-based nonprofit Hunger Task Force Inc. for every strikeout recorded by the Milkmen. Construction on Routine Field is expected to be complete by spring, just in time for the Milkmen to host their inaugural season home opening game on May 24 against the Chicago Dogs. Meanwhile, construction for other parts of the Ballpark Commons development continue. The 149-unit New Perspective Senior Living facility at Ballpark Commons broke ground last month and is slated for a spring 2020 completion. In addition to apartments, restaurants and retail, the development will include various entertainment and active lifestyle features such as the MOSH Performance and Wellness Village and Luxe Golf Bays, a golf entertainment facility offering 57 year-round open-air bays on three levels facing a driving range.